After traveling abroad with Students for Haiti, Alyssa Kuchta found her passion and started selling unique handmade jewelry to fundraise for earthquake relief in Haiti. She taught herself the craft and started her own business in 2011. 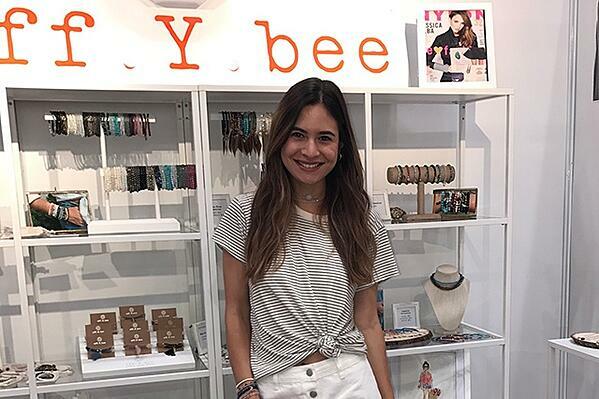 Alyssa oversees jewelry design and production, fulfills wholesale and online orders, travels for trunk shows and trade shows and comes up with creative content for marketing campaigns. She’s grateful that Horn Entrepreneurship provided her with some startup capital and connected her with a UD graduate who has been a close mentor and advisor over the past four years. Through participation in Horn Entrepreneurship offerings, students gain the knowledge, skills, personal capacities, experiences, connections and access to resources needed to successfully manifest innovation and thrive in the rapidly changing world.